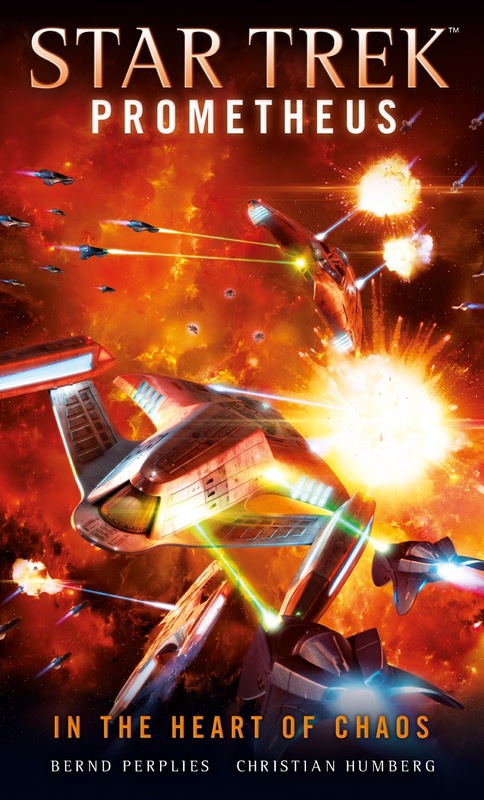 The third and final chapter in the Star Trek: Prometheus saga! Originally published in German in 2016, Star Trek: Prometheus chronicles the mission of the Prometheus and the I.K.S. Bortas to bring the Purifying Flame to justice and investigate the rising levels of hostility and terrorism in the Lembatta Cluster. This book has been showing up early all around the world (I already have my copy), but today is the official release date! Check out the back cover blurb and links to purchase below. The situation in the Lembatta Cluster is deteriorating rapidly. Fleets from the Federation and Klingon Empire are heading for the borders. The crews of the U.S.S. Prometheus and I.K.S. Bortas are racing against time to break the cycle of violence that is spreading through the Alpha Quadrant. Adams and Kromm are on the trail of a secret weapons facility, but instead discover an enemy from their pasts who seems utterly unstoppable. Together, they search for the answers to their questions, before the galaxy goes down in flames.